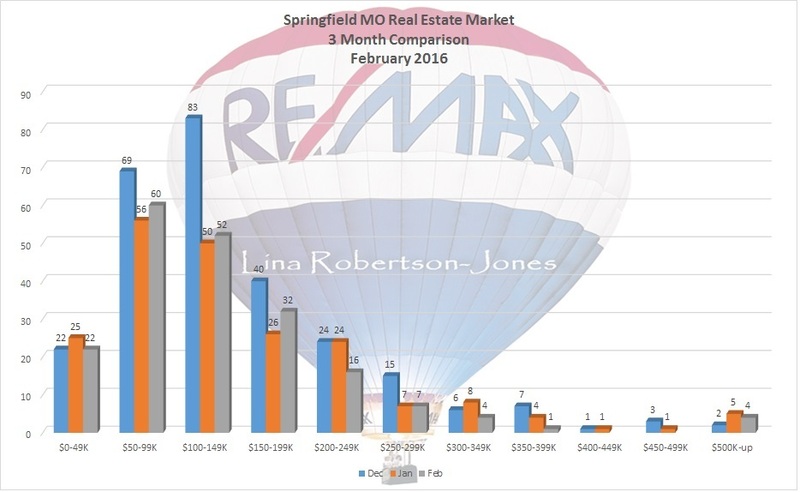 Below is the Springfield MO Real Estate Market Report for February 2016. 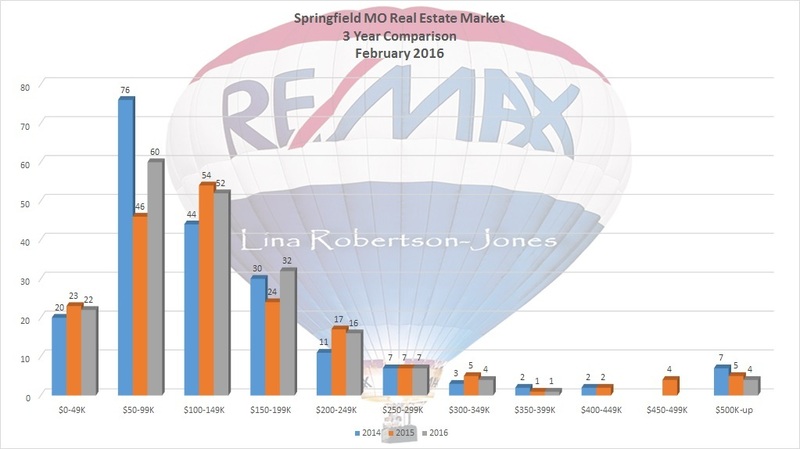 Homes sales are strong right now with a healthy number of homes pending in every price bracket. 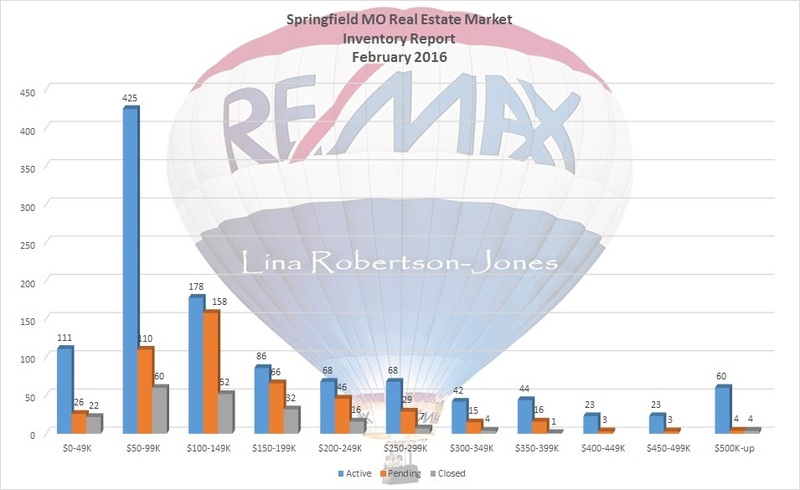 Overall, sales are consistent with sales in past years, but short-term analytics indicate closings are down slightly from December. 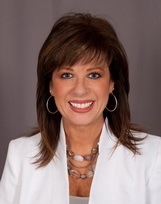 This is most likely due to the low inventory, and buyers having fewer choices. Homes priced between $50-100K aren't faring as well, making this the only price bracket to qualify as a "buyer's market."